Simple delete files by pressing the DEL key or using advance technique to delete the file by pressing Shift + DEL Key may result in data loss. When a file is deleted from your computer, its contents aren't immediately destroyed. Windows simply marks the hard drive space as being available for use by changing one character in the file table. If you manage to start an undelete process before Windows overwrites that part of hard disk with new files. You can set that flag back to "on" and get your file. And that's why shift delete file recovery is possible. 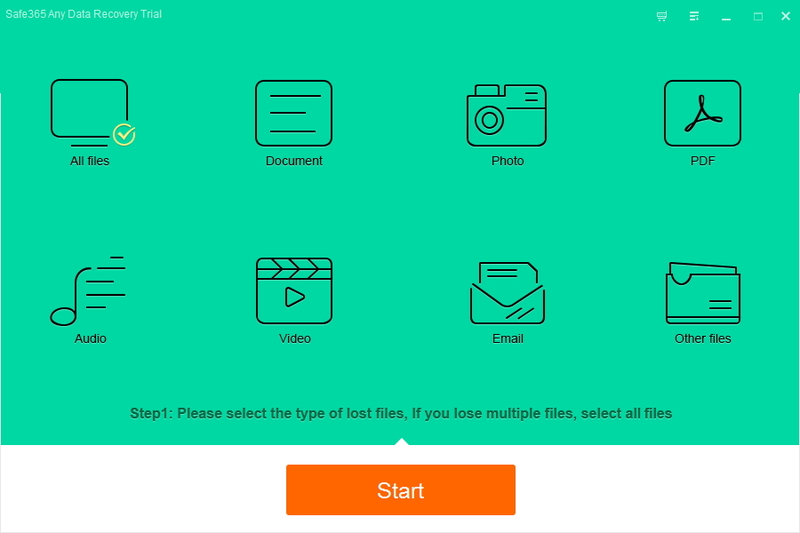 Safe365 Any Data Recovery Pro is the best shift delete file recovery software that can help you get lost data back due to various data loss situations. Step 1. Download Safe365 Any Data Recovery Pro, install and launch it on your Windows or Mac computer. Step 2. 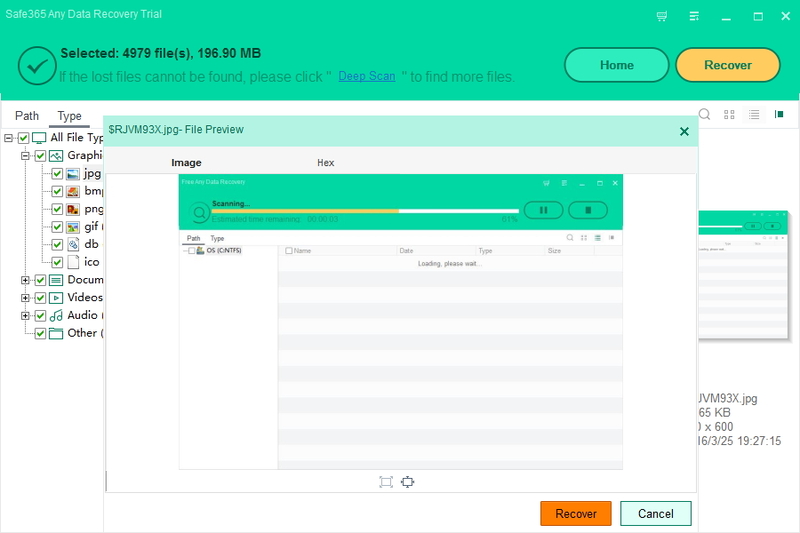 Select the partition where folder got deleted and click "Recover" button, and then the software will perform a fast scan on the selected partition for deleted files. After the scan, you can click "Deep Scan" recovery mode if you can't find files you want from scanning result. Step 3. Click the folder and select the file, you can preview the selected file. Step 4. Select the files you deleted before and click "Save Files" button to save them to any other partition instead of the partition where files got lost.